Mitsubishi has launched “The World’s Most Dangerous Road”, an advertising campaign featuring the 2011 Mitsubishi Outlander Sport effortlessly navigating through the notorious Yungas Road in Bolivia. The road is known for its extreme drop-offs, single-lane width and lack of guardrails. The deathly road stretches for 43 miles from La Paz to Coroico and claims the lives of an estimated 200-300 travelers a year. 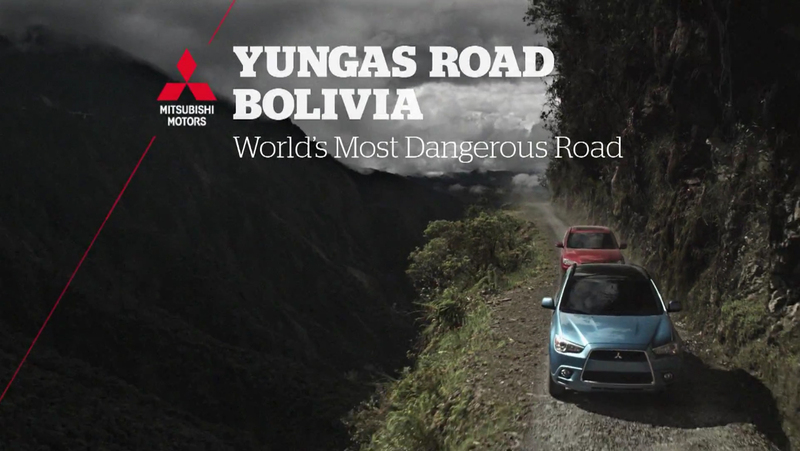 The campaign also includes a behind the scenes film airing on Mitsubishi’s web site and social media accounts and features shots of creative camera techniques and interviews with local Bolivians about the infamous road. The World’s Most Dangerous Road campaign was developed at 180 LA by executive creative director William Gelner, creative directors Gavin Milner, Grant Holland, copywriter Mike Burdick, art director Mike Bokman, head of production/managing partner Peter Kline, producer Cherie Appleby, group account director Amy Call and account director Sandy Song. Filming was shot by director Jordan Valenti via Boxer Films, Los Angeles, with executive producer Beth George and producer John Quinn. Editor was Igor Kovalik via BEAST Editorial with executive producer Sybil McCarthy, producer Joanna Hall, assistant editor Seema Naik.